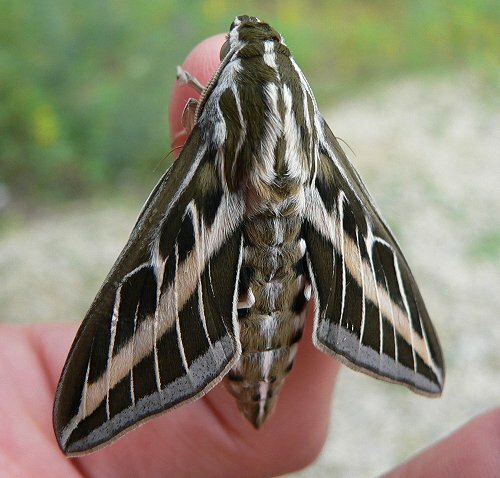 I found a White Lined Sphinx caterpillar in a dry sand prairie in Pierce County, Wisconsin, in August 2007. It was eating Wild Four-O'Clock - Mirabilis nyctaginea. 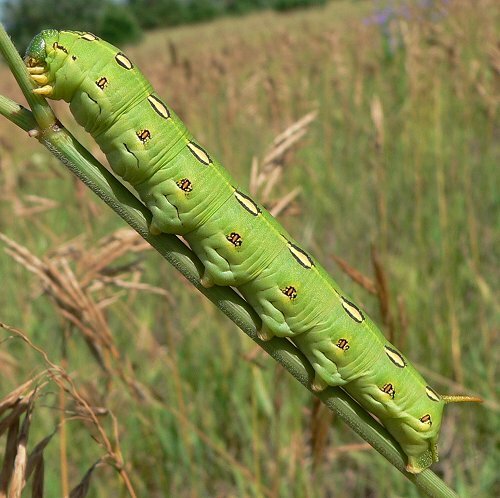 David Wagner says that the caterpillars are "exceptionally variable" in patterning. 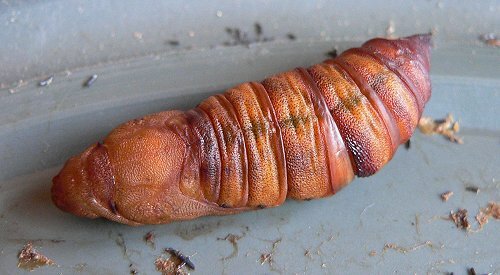 This one is certainly very different from MJ's White-lined Sphinx caterpillar. I took the caterpillar home, and it pupated almost immediately. 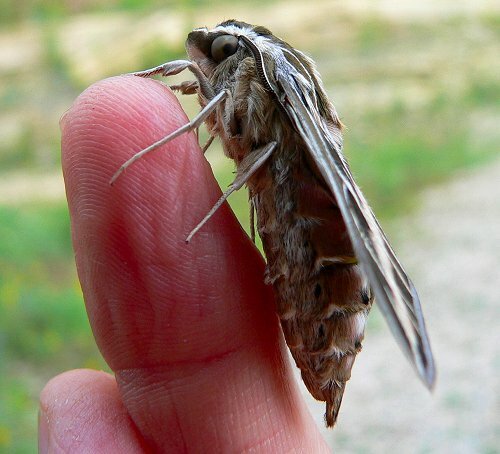 About 10 days later, it hatched into an adult moth. This entry was posted on Sunday, March 15th, 2009 at 8:20 pm	and is filed under Lepidoptera, Moths. You can follow any responses to this entry through the RSS 2.0 feed. Both comments and pings are currently closed.